The American Red Cross is one of the most notable organizations that perform blood draws. That’s one of the reasons why the Red Cross also provides training programs. Many people at the Red Cross work on a volunteer basis. But, they do have some employees who receive a paycheck. One great thing about training with the Red Cross is that they have locations throughout the country, so you can find something conveniently close to where you live. You’ll develop the skills of venipuncture (drawing blood). You’ll also learn how to work with patients, so you can further your career by finding the right job. Just because you train with the American Red Cross doesn’t mean you have to work there, or even volunteer with them. But, volunteering is a great way to gain valuable experience and improve your resume to find a trainee phlebotomy job. If you’re looking for a trustworthy place to complete your phlebotomy training, look no further. So, what can you expect from the Red Cross? Let’s find out. 1.1 What Does Training Cost? 1.2 What Does a Training Course Include? 1.3 Does the Red Cross Offer Safety Training? 1.4 Should I Take a Certification Exam? 1.5 Who Can Take Phlebotomy Training with the Red Cross? 1.7 What Skills Should a Phlebotomist Have? 1.8 What Are Other Volunteer Opportunities for Phlebotomists? 1.9 Are Other Programs Available? 1.10 Can You Advance Your Career? 1.11 What Are the Benefits of Working for the Red Cross? 1.12 Is the Red Cross a Good Place to Get Phlebotomy Training? Many phlebotomy training courses only have a small number of entrance requirements. You have to be at least 18 and need to have a high school diploma or GED. Because the Red Cross is such a highly-recognized organization for their work, they do have some additional requirements. Considering that most other phlebotomy training programs don’t have these requirements, it might seem like a lot. But, having the Red Cross on your resume as a training facility can make you look more reliable and may even make you a better phlebotomist. Employers look at where you got your training, and they’ll take that into account. Going through these extra steps before you start to train is just the first step. The cost for Red Cross phlebotomy training is $965, but this will likely change each year. This covers both tuition and fees to take the class. On average, phlebotomy training programs cost anywhere from about $700-$1500. So, the Red Cross’ program falls right in the middle. It certainly isn’t the most expensive program out there. It’s a great deal considering the type of education you’ll be getting from such a recognized organization. You also won’t get lost in a crowd or have a hard time getting individual attention. They keep their classes small at anywhere between 8-16 students. That way, if you’re struggling with something or have questions, you can get the answers that you need right away. What Does a Training Course Include? The training program is split into two different parts. This includes 80 hours of classroom preparation and 40 hours of lab work/hands-on work. You’ll learn things in a classroom setting before having to perform venipuncture. The first part of your program will consist of learning the phlebotomy basics. This doesn’t just mean that you’ll learn how to draw blood. You’ll have to learn the science behind what you’re doing. Once you’ve completed the classroom part of your training, you’ll move onto a more hands-on approach. You’ll learn two different types of venipuncture. These are butterfly venipuncture and syringe venipuncture. These refer to the type of needles and equipment that are used to draw blood. You’ll practice these draws from a training arm under the supervision of a phlebotomist or your teacher. Being comfortable with different types of venipuncture is essential. Not every patient you’ll work with throughout your career will have a ‘good’ vein on their arm. For example, it may be harder to draw blood from an obese person. So, knowing different places to draw from and various techniques can be helpful. 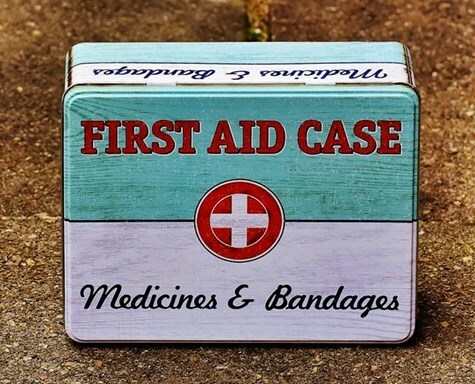 You’ll cover those through your Red Cross training. Does the Red Cross Offer Safety Training? Safety is one of the most critical aspects of phlebotomy training. The Red Cross is no exception. You’ll learn standard safety procedures put in place by the Center for Disease Control (CDC). Safety measures include protecting yourself and your patients. The key is to make sure nothing gets contaminated. You’ll learn the importance of protective gear like gloves and even goggles while you’re drawing blood from a patient. Another aspect of safety training includes proper labeling and transferring of blood samples. It’s the job of a phlebotomist to make sure every sample they take is accurately labeled. If there’s a mix-up, it could be extremely dangerous for the patient involved. That’s why phlebotomists get indemnity insurance. Knowing lab safety procedures is also essential. While you won’t work in the lab, you’ll work closely with them to transfer blood samples. Following lab safety rules will keep you protected and better organized to make sure your patient is getting the right diagnosis. Should I Take a Certification Exam? Once you complete your training with the Red Cross, you’ll have the opportunity to take a certification exam. You’ll take it through the National Healthcareer Association (NHA). Certification isn’t required in most states. But, it can make it easier for you to find a job quickly. You may also be able to start out at a higher salary than without certification. The best part is that it doesn’t take that long to become certified. There is only a little bit of extra training required. Even with certification, you can expect the entire training program to last for months. Who Can Take Phlebotomy Training with the Red Cross? Individuals who want to get their foot in the door of a medical career are great candidates for this training. Phlebotomy is considered an entry-level career. But, many people also make it their life-long career. Hospitals and other medical facilities tend to give favor to people who have trained with accredited programs. Some healthcare professionals also take phlebotomy training or at least a part of it. If you’re currently in the healthcare field but want more experience or education in venipuncture, the Red Cross can offer it. They have a condensed 20-hour version of their training program. It’s only for people who are already medical professionals. This shortened program focuses on the classroom skills and practical skills needed to become a phlebotomy professional. First responders and rescuers can take a Red Cross phlebotomy training program in a more ‘intense’ format. The Red Cross offers an EKG Technician and Phlebotomy program that includes CPR training, specifically for first responders. You’ll learn blood collection techniques. But, you’ll also train using different equipment. If you have an interest in the medical field, to begin with, or you’re already in healthcare and want to boost your skills, these training programs are all great options. There is a huge demand for phlebotomists. The population is getting older, and more blood tests are needed for different diagnoses. There is also a lot of new and advanced technology. Now more than ever, we can determine many different illnesses and conditions through blood samples. Because of these advancements and aging population, more phlebotomists are needed to keep up with the demand. As you might expect, one of the most popular places for a phlebotomist to work is a hospital. Hospitals all over the country regularly hire phlebotomists to keep up with demand. But, if you can’t find a job at your local hospital or one nearby, there are many other options that people don’t often consider right away. Emergency clinics and private practices also hire phlebotomists. Sometimes, local blood banks or even the Red Cross itself will hire phlebotomists as employees, instead of just volunteers. Some people who receive phlebotomy training are choosing to be their own boss. Mobile phlebotomy is becoming more popular. 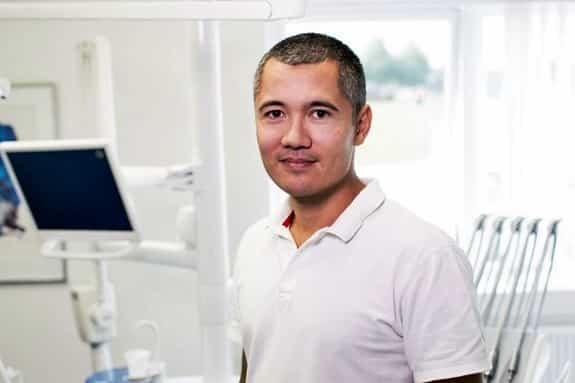 A mobile/traveling phlebotomist works when and where they are needed. This allows you a lot of flexibility, and you can set your own hours. The only potential drawback to doing this is you have to build up a ‘client base,’ but if you’re good at what you do, that shouldn’t take long. The job growth rate for phlebotomists continues to climb. From 2014-2024, it’s expected to grow over 25%. So, finding a solid job at any one of these places shouldn’t be too hard! Plus, depending on where you work you can make a decent salary. On average, phlebotomists make about $32,000 each year. What Skills Should a Phlebotomist Have? The American Red Cross will teach you the proper skills to become a phlebotomist. You’ll learn the educational side of things as well as the physical requirements. But, there is more to being a phlebotomist than just going by the book and learning how to draw blood. Phlebotomists should have a particular set of characteristics. It’s not that you won’t be able to do the job without these skills. But, you may struggle with it, and you might not enjoy it as much as you could. People skills: As a phlebotomist, you’ll work with a wide variety of patients each day. This includes elderly people and children. Some people are scared to get their blood drawn. Other patients might be awkward or rude. It’s necessary to be able to understand and work with different personality types while keeping your patience and being compassionate. Ability to work as a team-player: Even if you work as a mobile phlebotomist, you’ll have to work with other staff members. 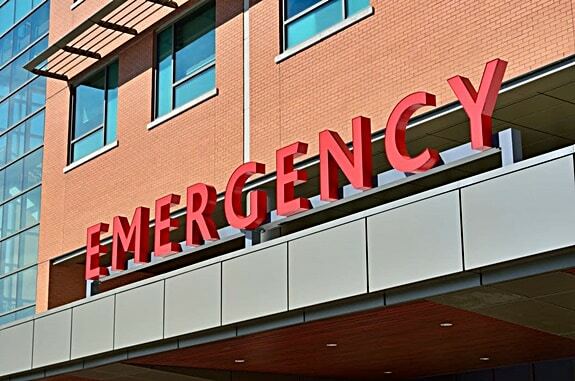 In hospitals and clinics, you’re a part of a team. You have to work well with lab workers, other medical staff, etc. Strong attention to detail: One of the main tasks a phlebotomist is faced with is correctly labeling blood samples. It’s incredibly important not to make a mistake or mislabel anything. Highly organized: Typically, when you draw blood, you’ll put the samples into vials. Just like it’s important to pay attention to detail, keeping those vials organized is necessary. Phlebotomists always need to have strong organizational skills. You should have your equipment ready before your patient arrives and be able to clean up efficiently after each one. Always follows safety procedures: Safety rules are, of course, a part of phlebotomy training. But, you have to make sure to never go lax on those rules. They’re necessary to keep yourself and your patients safe. Ability to stand for several hours at a time: Being a phlebotomist can take a lot of stamina. This is especially true if you work in a hospital or clinic. You’ll likely be on your feet for many hours and have to do a lot of walking back and forth to the lab on-site. What Are Other Volunteer Opportunities for Phlebotomists? Sometimes, hospitals aren’t willing to let phlebotomists work on their own without prior experience. So, volunteering at Red Cross blood drives is a great way to get your foot in the door. But, many other places and organizations also rely on the volunteer work of qualified phlebotomists. You can use these opportunities to gain experience when you’re starting out. You can also volunteer throughout your career. It’s a great way to help people in need and give back. Even hospitals will sometimes look for phlebotomy volunteers. If they are under-staffed, or there is a sudden need for blood due to disasters, a hospital can be a great place to volunteer. Phlebotomy is just one section of training offered by the American Red Cross. You can use their other training programs as a complement to phlebotomy or vice versa. It’s never a bad idea to enroll in more than one type of training class. The more you take, the more opportunities can arise for you in the healthcare industry. Once you’ve completed a phlebotomy training program (or any other) through the Red Cross, you may even decide to become an instructor. Red Cross instructors teach life-saving skills to more than 9 million people each year. You can become a regular instructor or a disaster relief instructor to train people during crisis or times of need. Can You Advance Your Career? Even though phlebotomy is an entry-level position, you can use it to springboard yourself into different careers. Or, you can move up in the phlebotomy field. You don’t need to stay in the same job forever. Experience, more training, or a combination of both can help you to get a promotion or move on to a higher career in medicine. With advanced training, you can choose a phlebotomy specialty, such as a therapeutic phlebotomist. Or, with experience, you can gain a supervisory position. If you want to continue schooling and gain more training in the medical field, there is a wide range of opportunities. Even some nurses and doctors started out their career as phlebotomy technicians. It’s a quick and inexpensive way to break into the medical field. Plus, it offers flexibility. So, you can continue to train in other areas of healthcare while building up your career at the same time. 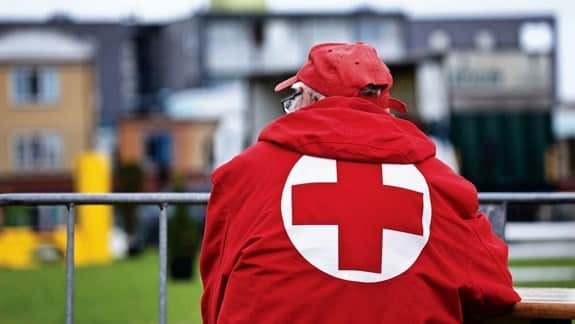 What Are the Benefits of Working for the Red Cross? If you complete your phlebotomy training through the Red Cross, it doesn’t mean you have to work (or even volunteer) for them. But, it’s a great opportunity. The Red Cross provides a different atmosphere and may have different tasks given to you than what you would see at a hospital. This is because they are devoted to alleviating suffering throughout the country. They aren’t just found in hospitals. They are found wherever it’s needed most. Working for this organization can be an enriching experience. 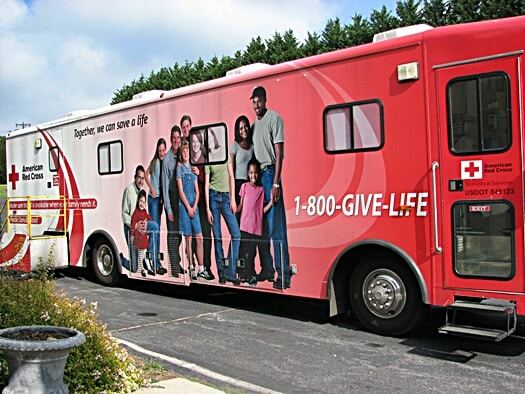 It provides almost half of the nation’s blood supply. So, as you can expect, they’re always looking for great phlebotomists to join their team. If you already completed their training program, you might even have the advantage of getting hired above someone else. Aside from saving lives, the Red Cross provides a lot of benefits that any employee would be thrilled to have. Is the Red Cross a Good Place to Get Phlebotomy Training? If you want to train for a career in phlebotomy, there are dozens of different options. But, you’re more likely to get hired by training with an organization that an employer can trust. Not only will you learn the necessary skills of phlebotomy, but you’ll also learn so much more when you work for the Red Cross. There are more opportunities for other classes, and you can take the certification exam once you’ve completed the program. Once you’re done, you’ll also have the chance to either volunteer or work for the organization. The Red Cross falls right in the middle when it comes to how much training costs, so you can end up saving money by not having to go to an expensive college program. It also will take less than a year to complete your training. You’ll have the right resources from the start, and the ability to practice blood draws on people by volunteering to help boost your resume. The Red Cross is a great place to get phlebotomy training. There are facilities all over the country. Check for a nearby branch to see what they offer for phlebotomists, and when their next program might be.